"Meet Triangle. He is going to play a sneaky trick on his friend, Square. 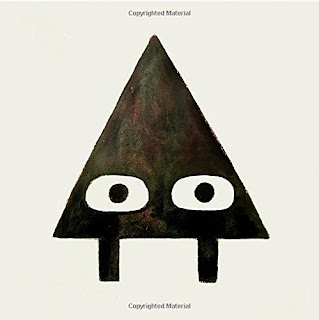 Or so Triangle thinks. . . . With this first tale in a new trilogy, partners in crime Mac Barnett and Jon Klassen will have readers wondering just who they can trust in a richly imagined world of shapes." Well, here's another one. One of those books where I'm a tad confused by the end (like Sam and Dave Dig a Hole). What exactly is going on in this book? Even though I've read it a couple of times, I'm still lost (unlike Sam and Dave where there's more to discover with each reading). I wouldn't say it's as humorous as the I Want My Hat Back trilogy, either, which makes me lose some appreciation. And yet...it's so Barnett and Klassen. I'm sure the fact that this is a beginning of a trilogy will mean more is yet to be discovered. And I know kids will love debating what, exactly, is really going on. And, last but not least, is Klassen's awesome illustrations of a bizarre landscape and shape-filled world. It's fascinating. I'm definitely waiting for the rest of the trilogy. "When Mrs. Inkydink announces a class trip to the farmers' market, Clark is so excited he doesn't listen to her instructions. 'Hurrah, hooray, it’s time to play!' Clark gets lost in the crowd and has to use his rhyming to remember what Mrs. Inkydink said to do." I haven't reviewed and Clark the Shark books, so why not now? This story is one of many in the series. 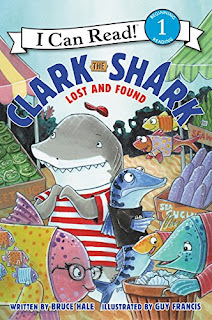 Clark is a pretty awesome shark that is sure to please young readers, especially boys. His enthusiasm and penchant for trouble are sure to resonate with rambunctious boys, in particular. So I definitely appreciated the little lesson included (in this case, to listen and follow instructions of an adult) but also the resourcefulness of Clark. Plus the illustrations are fun, colorful, and are a big part of the story. My one issue might be it's "Level 1" beginning reader status because there is definitely some complex vocabulary and character speech in here. With the right help from an adult, though, kids are sure to love this series, so check them out (if you haven't already, since I'm a bit behind the ball on this one). "It's hard to start at a new school . . . especially if you're in a new country. Back home, Anais was the best English student in her class. Here in Crazy America she feels like she doesn't know English at all. Nothing makes sense (chicken FINGERS? ), and the kids at school have some very strange ideas about Africa. Anais misses her family—Papa and grandmother Oma and big brother Olivier because here in Crazy America there's only little Jean-Claude and Mama. So she writes letters to Oma—lots of them. She tells her she misses her and hopes the fighting is over soon. 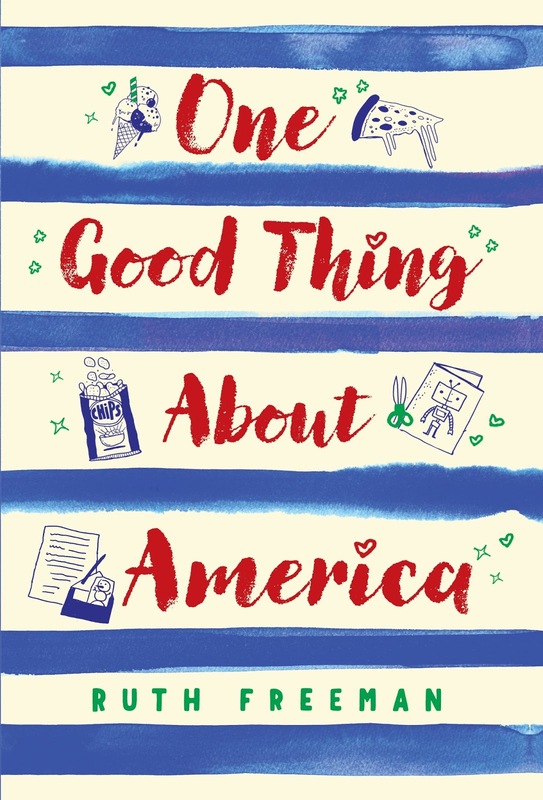 She tells her about the weird things Crazy Americans do, and how she just might be turning into a Crazy American herself." 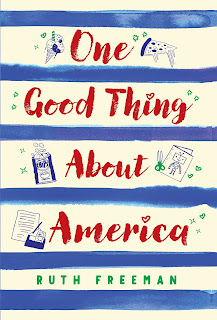 Taking place over the course of the school year, this book of letters is short, sweet, accessible, and very authentic. I say authentic with some hesitation, of course, because I have no personal experience being a refugee, but the author's years of work with refugee students learning English definitely lends credence. The worries, struggles, and joys that Anais face feel very real and it's easy to appreciate her character. Another detail I appreciated included Anais' difficulty with spelling and vocabulary, since it's written in first person (English is HARD, dude). And then, this bettered over the course of the book, in accordance with her learning. So that was a brilliant touch. My one small complaint is, in its authenticity, the story gets a tad repetitive, or even boring. During the middle of the school year, Anais is still trying to figure out these American holidays, is still worrying about her family back at home, and is still stuck in the shelter while her mother looks for an apartment. Yes, authentic. But it might be a drag for the reader. Overall, though, I really do want to stress how impressed I am with the book and how I was able to gain a better appreciation for young refugees and what they face when coming to this country. Definitely recommended. I completely agree about Triangle. I read it a few times, and was completely confused. Maybe I'm supposed to be? I'm hopeful the rest of the trilogy works it out for me.